Dr. Jerome Poland co-founded the Crosby Eye Clinic with Dr. Richard West in 1975. Since then, Crosby Eye Clinic/Great River Eye Clinic has become one of the largest ophthalmic practices providing vision care for adults and children in the lakes area and beyond. Dr. Poland was a vibrant man who will be remembered as an accomplished surgeon, mentor and caring friend. 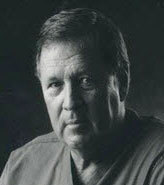 It is our mission to continue his legacy in providing excellent patient care. Hi, I'm Vern Gagne, World Heavyweight Wrestling Champion, here to tell you about Dr. Poland and the Crosby Eye Clinic. As you might guess, I have had many eye injuries in my career as a wrestler. Dr. Poland with years of experience as a surgeon is the one to see for any eye problems. Dr. Poland performed cataract surgery on me 10 years ago and refractive surgery on my daughter 13 years ago. 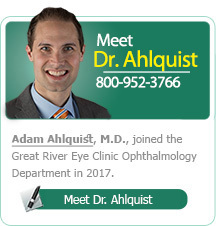 He is the champion in eye care. (Vern Gagne: 2/26/26 - 4/27/15). "Hi everybody, I'm Ron Schara from the Minnesota Bound Television show. As an avid outdoorsman, I know the importance of good eyesight. 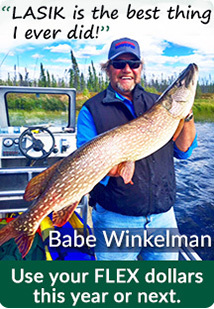 That's why I chose Dr. Jerry Poland and the Crosby Eye Clinic for my LASIK eye surgery." My name is Mark Black, my wife Mary and I are dog sled racers. Both of us had very poor vision without glasses. We had been thinking about LASIK surgery when some friends told us about the Crosby Eye Clinic. The experience, technology and professional staff, convinced us that Crosby eye clinic was the right choice. The staff explained the procedure and the risks and benefits very thoroughly. The surgery and post-op recovery went off without a hitch. Racing dog sleds is much easier without worrying about your glasses getting fogged-up or falling off. Mary and I both think LASIK eye surgery is the best thing we have ever done. Hi, I'm Amy Gaviglio. While a junior at Crosby-Ironton High School, I often had problems with my eyes that forced me to take a break from my contacts and wear my glasses; something I hate to do. So I was extremely relieved when last time I decided to go to Dr. Poland; he found the source of the problem right away and I was able to wear my contacts again in less than a week! Dr. Poland was exceptionally friendly and gave me suggestions for preventing future infections. Hi, Tim Norton here to tell you about something that could literally change your life, I know because it did mine. I'm talking about LASIK eye surgery performed by Dr. Poland at the Crosby Eye Clinic. Technology of today is incredible. But remember, it's not just the technology, it's the knowledge of the person behind the technology and Dr. Poland has that knowledge. 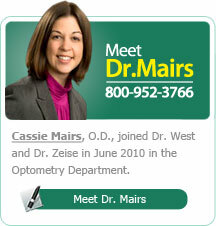 I asked myself, do I want a doctor with say 5 years of experience working on my eyes? 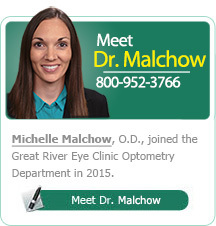 Or, Dr. Poland with over 18 years of refractive eye surgery experience? Believe it or not, not everyone thinks about that, but I did. After I was given the OK from Dr. Poland, I had to make the "big decision", I'll admit I was a little nervous but I had no pain. I thank you for this opportunity to express in words what life was like before LASIK surgery. I have worn glasses for nearly forty years of a prescription of around -17.00. I was told at a very young age I would go blind before my eyes got better. I was only able to see very blurred colors at first, with glasses the best I could see was 20/40. I was given a medical discharge from the army because I couldn't wear contacts in the field. The reason for the LASIK surgery was to lessen my prescription. The day after, LASIK surgery my sight was 20/30 - 20/40 legally I could drive without glasses, a month later, I have 20/25 in both eyes it is nothing short of a miracle. I hope that my children will be blessed this well when they have theirs. I still have a hard time going to bed without taking out contacts and waking and seeing everything around me. Thank you - Dr. Poland, your staff, and everyone else who was involved. In 1999, I was suffering from horrendous headaches. I was referred to Dr. Poland by my Brainerd eye doctor and fortunately within a day Dr. Poland confirmed that I had definite swelling behind my eyes. 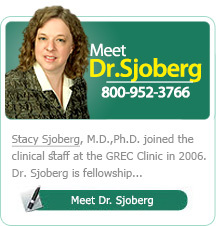 Dr. Poland made an appointment for me, the following day, to see a U of MN Hospital neurologist whom he highly recommended. At the U of M it was confirmed that I had a cancerous brain tumor. Brain surgery the next day was a success! After, I was informed how critical it was that they operated ASAP because I could have lost my eyesight and life if the tumor progressed further. I was again so thankful for Dr. Poland and for his promptness and connecting me with the right doctors. 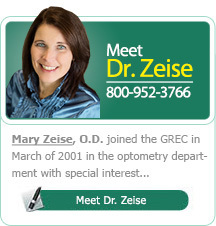 In 2001, Dr. Poland performed LASIK on both eyes with perfect results. Because of my trust and belief in him I had no concerns about the surgery. Two weeks after surgery, my vacation was more exciting as I swam for the first time in years without contacts. Feeling so free to dive in head first was such an awesome feeling. Water splashing in my face was no longer a concern. I can't wait to go water-skiing this summer! Have you ever tried to take a picture with a camera while wearing glasses? As a professional photographer I did get used to it but I never liked it. I thought about LASIK eye surgery but I was concerned because my vision is so critical in my work. Several of my friends had their LASIK done by the surgeons at the Crosby Eye Clinic and were very pleased with the results. I made the trip to Crosby and I am very happy that I did. The staff did a very thorough exam and explained everything to me. The recovery was quick; I was able to drive home the next day. I now see better than I ever have. Working as a photographer has never been better thanks to Dr. Drown and the Crosby Eye Clinic.